Standard Poodles are considered the oldest form of this breed. Their history of use as retrievers and water dogs led to the well-known Poodle haircut. This unique pattern was designed to protect joints from cold water temperatures. Miniature and Toy Poodles were also good swimmers and hunters. Eventually, small Poodles were noted as pampered companions of French aristocrats, though they have also been known as performing dogs. 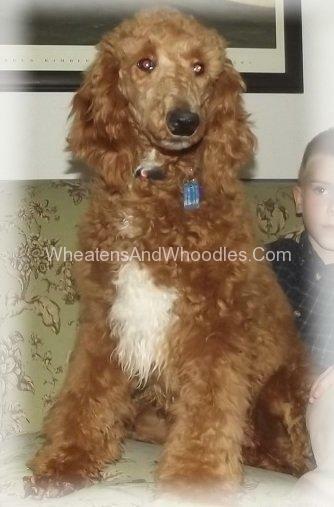 Poodles are highly intelligent, energetic dogs with good temperaments. Three size varieties – standard, miniature, or toy – make the Poodle a highly popular dog breed. Poodles are very smart dogs and can be easily trained to perform a variety of commands and tricks. This is part of the reason Poodles are widely known as performing dogs. Above all, Poodles can be quite affectionate dogs and make truly wonderful companions. Poodles have beautiful, unique hair coats. Because their coarse, curly hair is constantly growing, much attention must be placed on proper grooming, including regular haircuts. This type of hair coat also makes Poodles is just one of many hypoallergenic dogs. The energy levels of Poodles requires basic daily exercise at minimum. This, along with a healthy diet and routine veterinary care will help keep your Poodle healthy for many years. Poodles are sometimes considered to have a life span longer than the average dog.